Here at Acanthus Press, we use a collaborative approach to bring your print requirements to life. We serve all of your printing needs in one convenient location. Need a helping hand coming up with a design to accurately convey your brand image and message? Our professional designers are ready to assist you. We provide expert print solutions from digital copying and printing, raised printing, foil printing, embossing, lamination, offset printing, large format printing, exhibition graphics, banners, leaflets, business forms, custom invitations, posters and presentation folders with a comprehensive range of print finishing options. Quality print design is not just about looks. Ultimately your print is a message: you’re telling a story. You want your message to evoke a response in your audience — emotions that draw them towards you and your product — whilst presenting a visual that excites them. 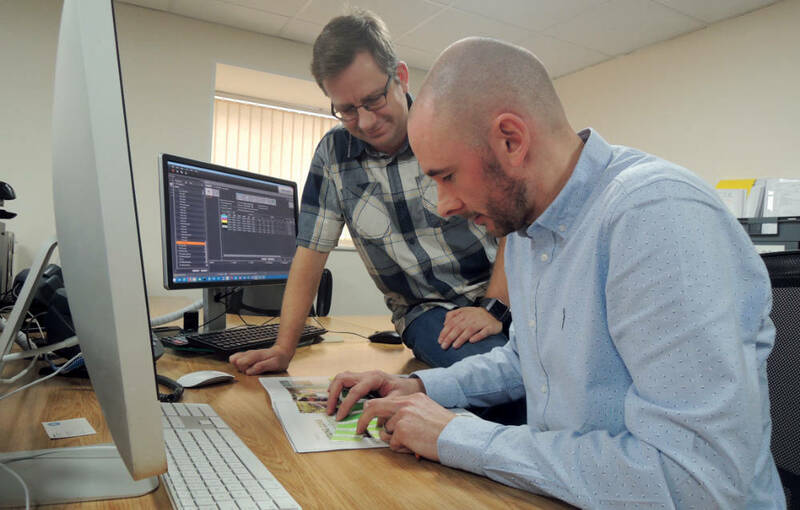 With a dedicated in-house design team, we strive to create ideas and deliver innovative print to our customers. Everything we do is to support you and your business or product, whether touchable print or artwork (or even an online campaign for the digital side of your business). Our strategy, as always, is to create good value bespoke print that informs, entertains and inspires. We start with a briefing session. This is where your print requirements are brought to life. With our direction, ideas develop a theme making your message clear. We then submit our designs to you — folded, trimmed and bound — and work on the proofs until you are happy. You get to hold the proof, run your fingers over the finish, feel its weight in the palm of your hand, and visually connect with it as your customer would. Is it what you want? If not, we work with you to edit it. The goal of any print design is to provoke a human response in the reader. It should awaken their imagination, making them consider your topic or product. The Acanthus Press graphic design team have an expert understanding of this print design process. We provide varied, in-depth knowledge and experience to help you reach the goals of your print design. Our team can suggest alternative cost effective ways of producing and creating a design that aligns accordingly and tells your brand story. Implementing our proven strategy, we are able to offer a level of service that is better than most of our competitors, including design straight to the end client or offer it as a white label to assist design agencies. At Acanthus Press, we prefer a simple process and plain talking. We’re confident that our work will help your business stand out from the crowd. A big attraction to print is that people don’t just view your finished product on a screen (which they still can), but they can physically hold them in their hands. A piece of paper, a folding brochure, a business card — it’s more personal and a much different experience than viewing something on a screen. Print demands attention, and your design is an integral part of your product message. Our collaborative design strategy includes input not just from the design team, but also from the bosses. This enables us to better understand our customers. From our first creative talks to the final product, Acanthus Press offers continuity throughout the production process.